Alicia Molik is confident her Australian Fed Cup team can retain a top-eight position in the women's international tournament despite a first round defeat. Alicia Molik is confident her Australian Fed Cup team can retain a top-eight position in the women’s international tournament despite a first round defeat. 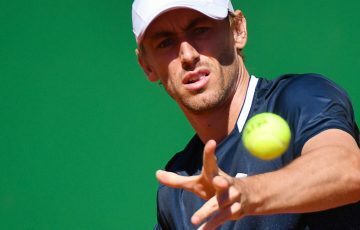 With a Cup treble in their sights, the Czech Republic accounted for Australia 4-0, with the underdog’s headline act Sam Stosur unable to cause an upset. 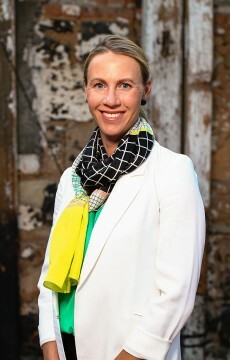 Molik, a former Fed Cup player whose captaincy was announced in January, said Stosur and fellow Australian Jarmila Gajdosova both battled valiantly in their singles matches. “The result I don’t think is a true reflection. We didn’t win a match here against the Czech team, but gosh we could have … we were right there,” she said. On Sunday, world No.8 Petra Kvitova beat Stosur 2-6 7-6(3) 6-4, following the world No.9 Australian’s 7-6(6) 7-6(4) defeat by Czech Lucie Safarova on Saturday. Stosur said she felt comfortable on court and was pleased with her play, despite being unable to capitalise on crucial opportunities including a set point on Saturday and match point on Sunday. The opening rubber in the best-of-five tie saw Kvitova beat Gajdosova 7-6(2) 6-3 on the indoor hard surface at the eastern Czech city of Ostrava. “I’m very happy about the result but I think it’s a little tough for the Australians to go 4-0 because all matches were tighter than maybe the score appears. They had set points, they had match points,” Czech captain Petr Pala said. While the home team progresses to a semifinal against Italy in April, Australia faces a playoff to remain in the top-eight world group. A draw this week will decide where and against which country the Australians play, with possible opponents including Germany, Spain, Sweden, and Switzerland, who each won their World Group II matches at the weekend. “I think we’ve got the talent to, our players are more than good enough to remain in the world group,” Molik said. 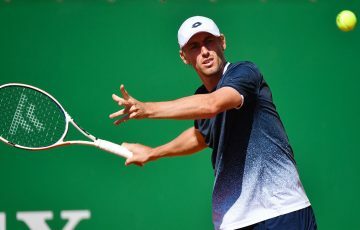 While the Czechs posted an unassailable 3-0 lead on Sunday, a subsequent doubles match went ahead as planned. 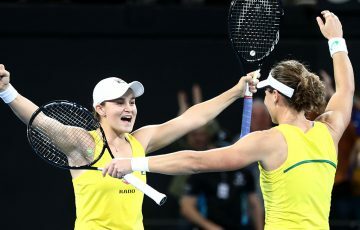 Australian Fed Cup debutant Ashleigh Barty partnered Casey Dellacqua to face world No.3 pair Andrea Hlavackova and Lucie Hradecka. 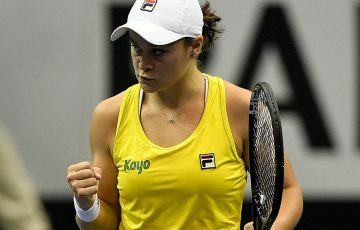 While the Australians were beaten 6-0 7-6(1), Barty was praised for her performance. 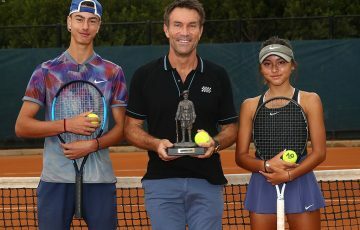 “She’s got all the skills and weapons to make her a great player and one of the top players in women’s tennis,” Molik said of the 16-year old. 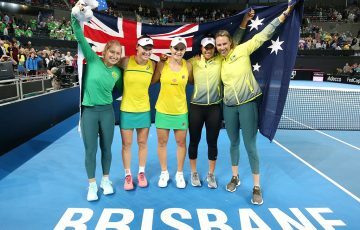 The Australian captain, who indicated her intention to remain at the helm of the team, said she sees the Czechs going on to claim a third successive Fed Cup 2013.